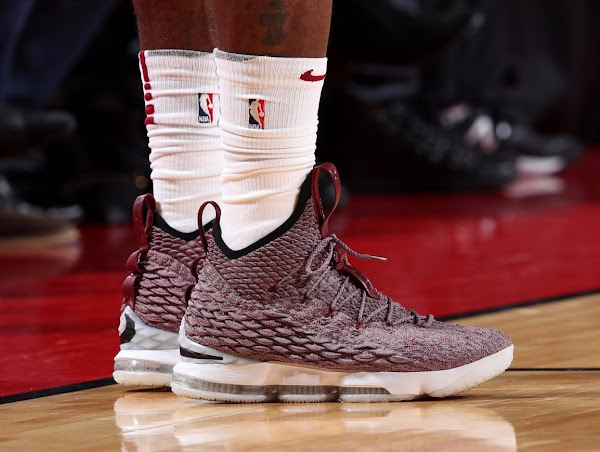 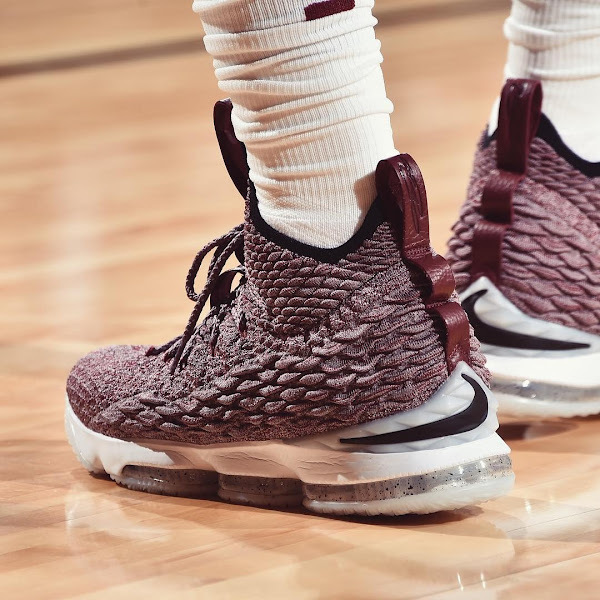 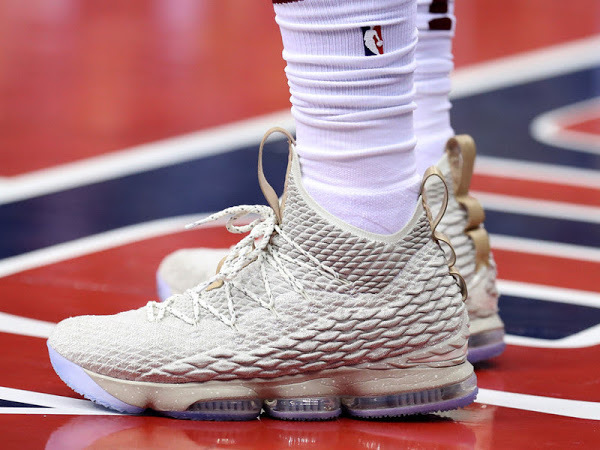 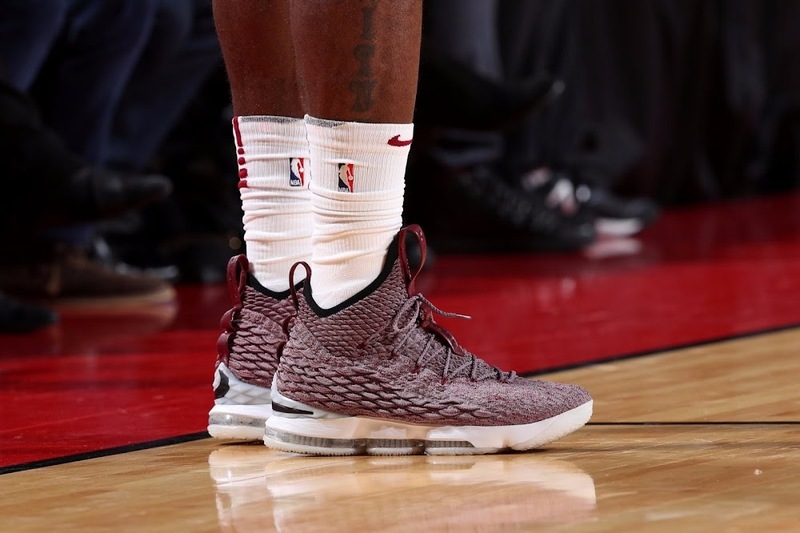 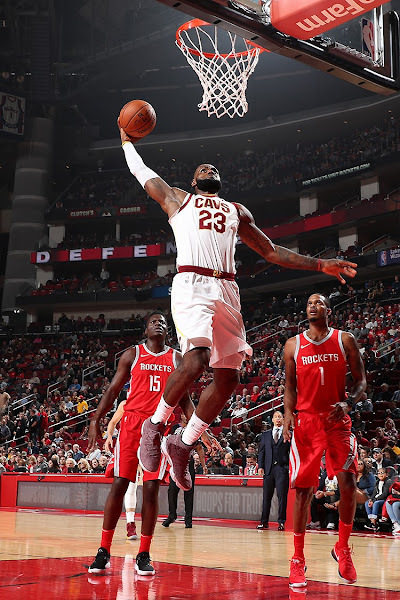 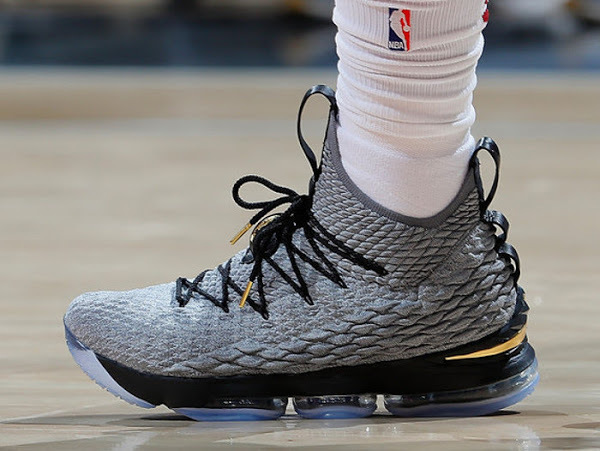 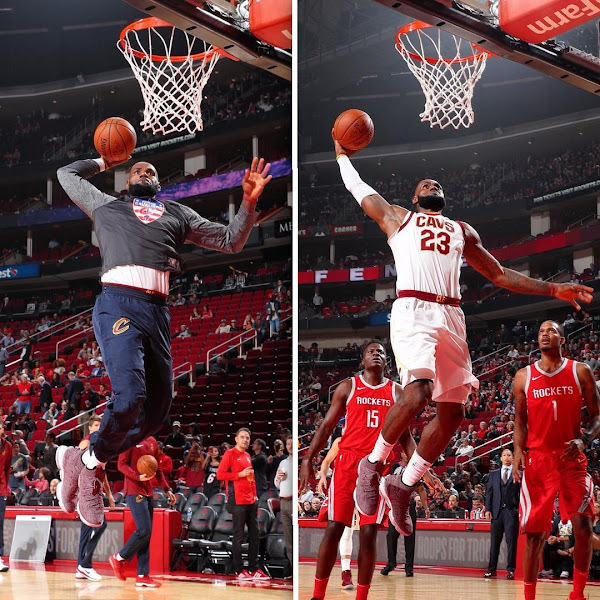 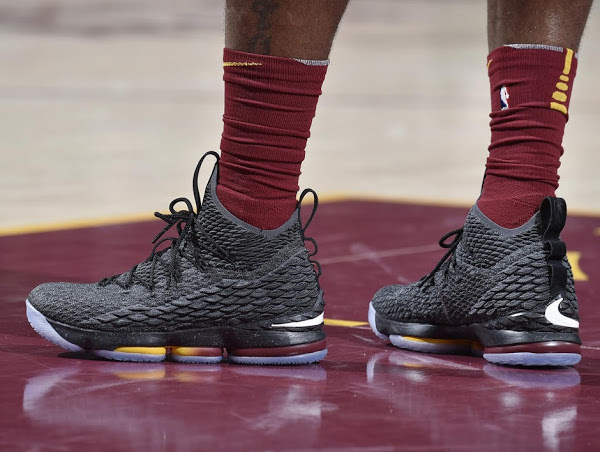 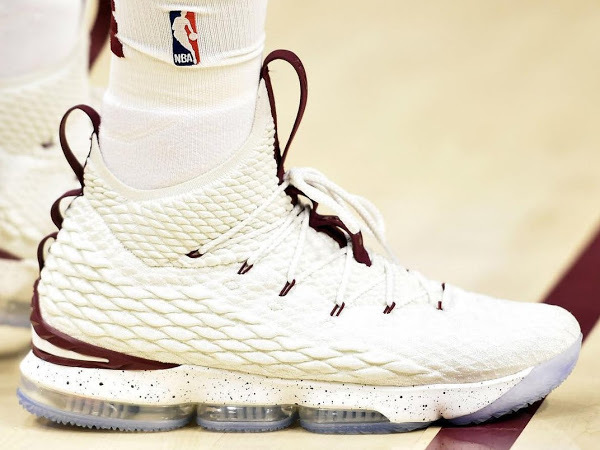 Last night, King James kept the “new-shoe-each-game” streak alive in Houston where he chose to wear the Red Wine colorway of the Nike LeBron 15. He has now worn 13 different colorways in 12 games and luckily for us 5 of those were General Release styles. 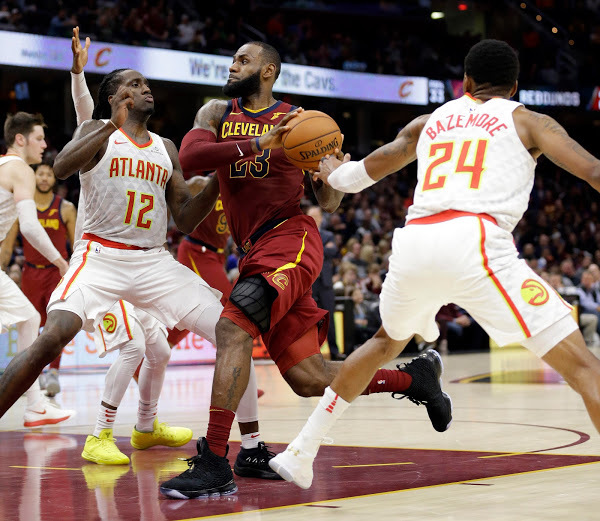 LeBron James led the Cavs with 33 points and seven assists on 15-of-24 shooting, but he committed a season-worst nine turnovers. 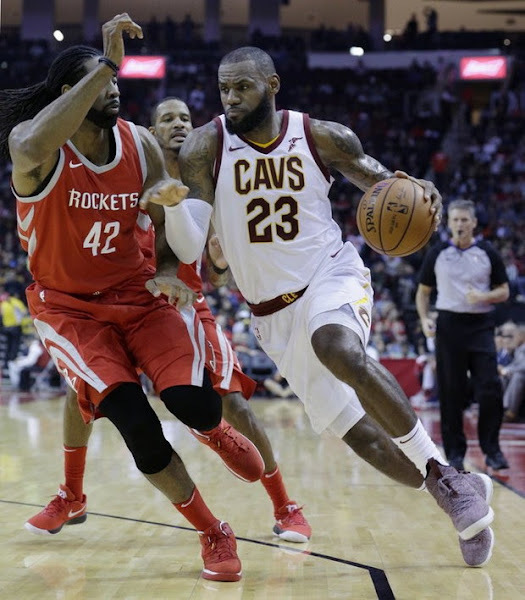 Cleveland turned the ball over 19 times for a whopping 38 points propelling Houston to a 117-113 win Thursday night.